Progress your MTB skills with a private lesson lead by top professional Miles Davis. 3 or 4 hours. 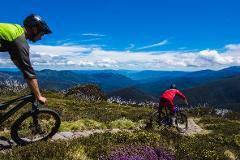 Dirt Divas is a ladies specific MTB skills clinic at the beautiful Falls Creek, Victoria.